For a second year in a row, Bristol Old Vic has been selected to take part in The Big Give Christmas Challenge, an annual campaign, meaning that all donations made to the theatre via the Big Give website over the next week (from midday 27 Nov – 4 Dec) will be doubled. This year, Bristol Old Vic's focus is on the work of the Engagement Department’s Young Company, one of the largest regional youth theatres in the UK and home to over 350 young people aged 5 – 25 from across the South West. The participants take part in an on-going programme of weekly sessions, theatre master classes, community projects and full-scale performances. Over the last year, the Engagement Department has had over 91,000 interactions with young people across Bristol. Opportunities provided by Bristol Old Vic Young Company have transformed lives, including those of actor and final-year student at Mountview Joseph Langdon and Bristol-based director Julia Head. Joseph’s full testimonial is available here. Julia’s full testimonial is available here. £10 or £5 would help towards travel costs to get a young person with a disability to the theatre. You will receive a personalised Bristol Old Vic postcard of thanks from a member of Made in Bristol. £25 would cover a young person’s costume for their final show. 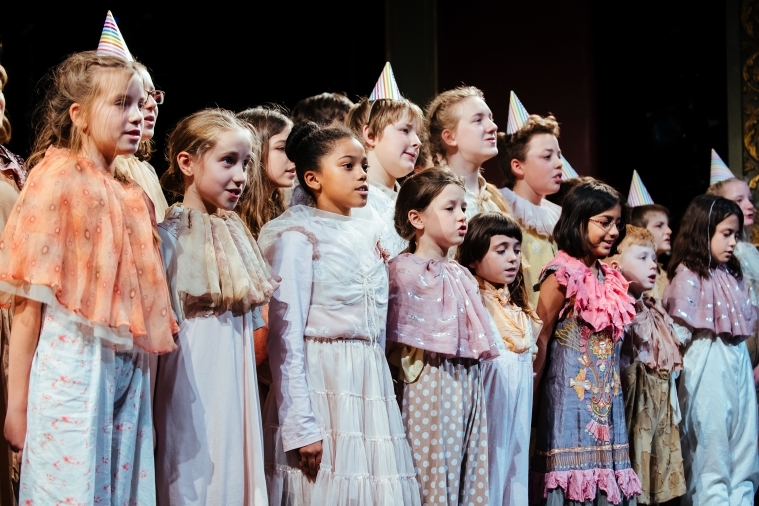 £98 would cover the cost of a bursary offered by Bristol Old Vic to young people from a low-income family. You will receive an invitation to be our guest at one of our Young Company shows. £500 would cover an inclusivity training weekend, ensuring Bristol Old Vic staff and practitioners are able to safely work with young people, including those with disabilities and special educational needs. You will receive a plaque on a seat in our brand new Weston Studio (for 25 years) and you will receive an invitation to be our guest at one of our Young Company shows. £2,500 would fund the professional directors for 2 young company shows per year. You will receive a plaque of recognition on a seat at the front of our Georgian auditorium (for 25 years) and you will receive an invitation to be our guest at one of our Young Company shows. £5,000 would fund the entire production costs of our 18-25 young performers’ final show. You will receive a plaque of recognition on one of the best seats in our Georgian auditorium (for 25 years), your name recognised in the production’s free sheet programmes and an invitation to be our guest at our Young Company and Made in Bristol final shows. The Christmas Challenge takes place from 12pm (midday) Tues 27th November – 12pm Tues 4th December when your donation to participating charities can be doubled. The Christmas Challenge, founded by entrepreneur and philanthropist Sir Alec Reed CBE, is the UK’s biggest online match funding campaign. For seven days, it offers supporters of participating charities the opportunity to have their donation doubled on theBigGive.org.uk. Since the Big Give launched the campaign in 2008, the Christmas Challenge has raised over £90 million for thousands of charity projects.